Debut release from new signing Hugh 'Crewdson' Jones, soon to be followed by his full length release 'Gravity', scheduled fto hit the shops early next year. His music could be described as an upbeat and playful concoction of electronic music, taking in influences from techno, jazz, 2-step, dubstep, your doorstep… poses the question of what might happen if you threw Polar Bear, Flying Lotus, Aphex Twin and maybe even The Streets in a room together. 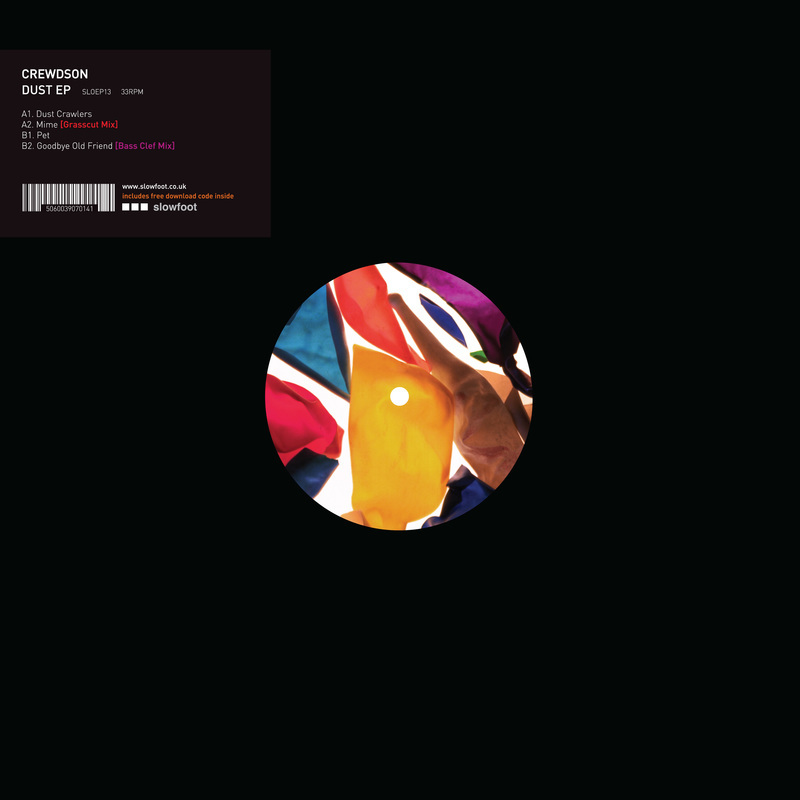 Here you get 2 tracks from Crewdson leading each side of the vinyl (‘Dust Crawlers’ and ‘Pet’ for A and B respectively) followed up by equally intriguing remixes and reworkings of Crewdson tracks. ‘Mime’ reworked by Ninja Tune’s acclaimed recent signing Grasscut and ‘Goodbye Old Friend’ remixed by 'Hackney Centalist' Bass Clef [Blank Tapes].